EBC published an article in La Libre Belgique’s December 13th issue, a daily Belgian newspaper. The heading reads: “One person in three is affected today. 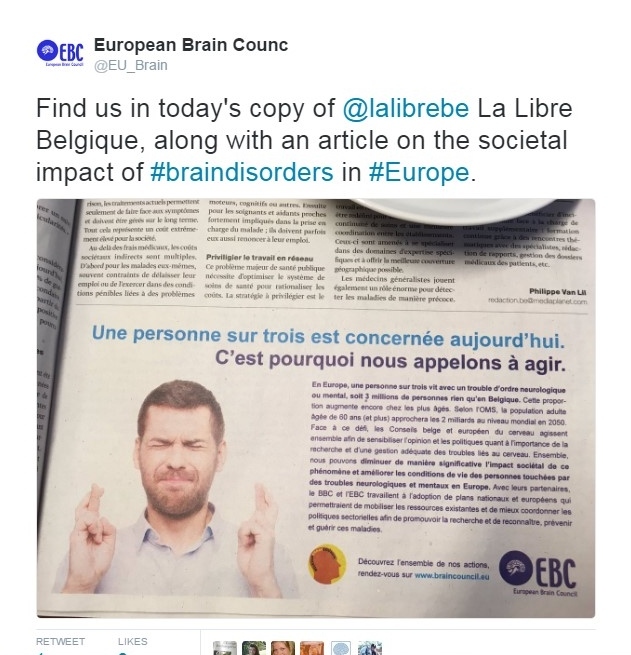 This is why we call for action”, addressing the fact that here in Belgium, 3 million people suffer from neurological or mental illness. This followed an article written by Philippe Van Lil, titled: “Neurological and mental illnesses have a societal impact”.